Goodreads blurb: Lying in a magic-induced coma, the King of Thyrsland is on the brink of death: if his enemies knew, chaos would reign. 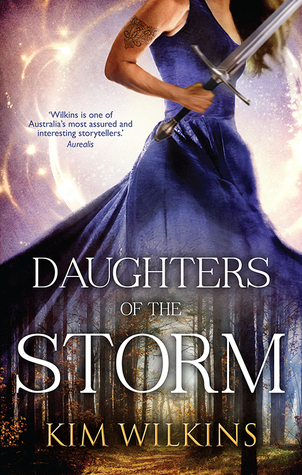 In fear for his life and his kingdom, his five daughters set out on a perilous journey to try to save him, their only hope an aunt they have yet to meet, a shadowy practitioner of undermagic who lives on the wild northern borders. No-one can stand before the fierce tattooed soldier and eldest daughter Bluebell, an army commander who is rumoured to be unkillable, but her sisters, the loyal and mystical Ash, beautiful but unhappily married Rose, pious Willow and uncertain Ivy all have their own secrets to keep from her — the kind of secrets that if revealed could bring disaster down upon not only them, but the entire kingdom. 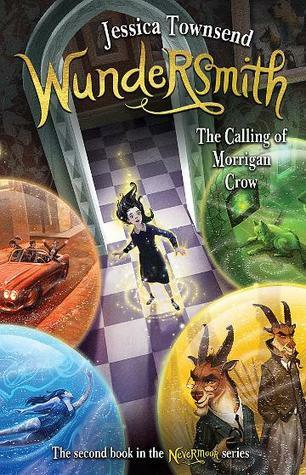 Waiting in the wings is stepbrother Wylm whose dealings with Bluebell’s greatest enemy, Hakon the Raven King, would end Bluebell’s dreams of revenge on his mother and propel his own desperate grasp for power. Goodreads Blurb: One snowy night a famous Hollywood actor slumps over and dies onstage during a production of King Lear. Hours later, the world as we know it begins to dissolve. Moving back and forth in time-from the actor’s early days as a film star to fifteen years in the future, when a theater troupe known as the Traveling Symphony roams the wasteland of what remains-this suspenseful, elegiac, spellbinding novel charts the strange twists of fate that connect five people: the actor, the man who tried to save him, the actor’s first wife, his oldest friend, and a young actress with the Traveling Symphony, caught in the crosshairs of a dangerous self-proclaimed prophet. 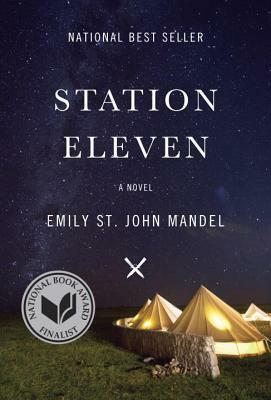 Sometimes terrifying, sometimes tender, Station Eleven tells a story about the relationships that sustain us, the ephemeral nature of fame, and the beauty of the world as we know it. 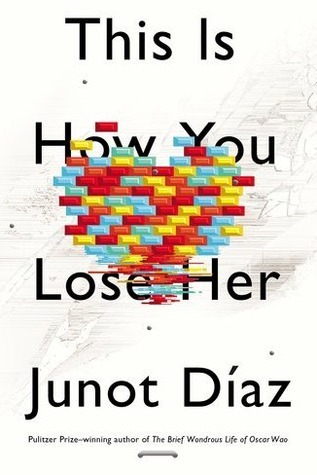 Goodreads blurb: On a beach in the Dominican Republic, a doomed relationship flounders. In the heat of a hospital laundry room in New Jersey, a woman does her lover’s washing and thinks about his wife. In Boston, a man buys his love child, his only son, a first baseball bat and glove. 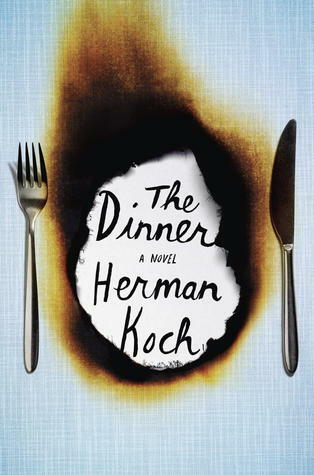 At the heart of these stories is the irrepressible, irresistible Yunior, a young hardhead whose longing for love is equaled only by his recklessness–and by the extraordinary women he loves and loses: artistic Alma; the aging Miss Lora; Magdalena, who thinks all Dominican men are cheaters; and the love of his life, whose heartbreak ultimately becomes his own. Goodreads blurb: It’s 1998, and Sylvie Patterson, a bookish student at a Northern California boarding school, falls in love with a spirited, elusive classmate named Gabe. Their headmaster, Dr. Adrian Keller, is a charismatic medical researcher who has staked his career on the therapeutic potential of lucid dreaming: By teaching his patients to become conscious during sleep, he helps them to relieve stress and heal from trauma. Over the next six years, Sylvie and Gabe become consumed by Keller’s work, following him from the redwood forests of Eureka, California, to the enchanting New England coast. Goodreads blurb: A summer’s evening in Amsterdam and two couples meet at a fashionable restaurant. Between mouthfuls of food and over the delicate scraping of cutlery, the conversation remains a gentle hum of politeness – the banality of work, the triviality of holidays. But the empty words hide a terrible conflict and, with every forced smile and every new course, the knives are being sharpened… Each couple has a fifteen-year-old son. Together, the boys have committed a horrifying act, caught on camera, and their grainy images have been beamed into living rooms across the nation; despite a police manhunt, the boys remain unidentified – by everyone except their parents. As the dinner reaches its culinary climax, the conversation finally touches on their children and, as civility and friendship disintegrate, each couple shows just how far they are prepared to go to protect those they love. Goodreads blurb: Here are sixteen tales, each with a startling twist. Take, for example, the horrific tales of risk-takers such as the man who wagers his daughter’s hand in marriage to a wine connoisseur, or the traveller who throws himself overboard a cruise liner in order to win a bet. Here too is the understated cruelty of Edward the Conqueror, in which a mysterious cat seems to threaten domestic life, or the innocuous-seeming Landlady whose guests stay for longer than they intend. Not forgetting the satisfyingly shocking tales of revenge, such as “Nunc Dimittis” or “Lamb to the slaughter”. 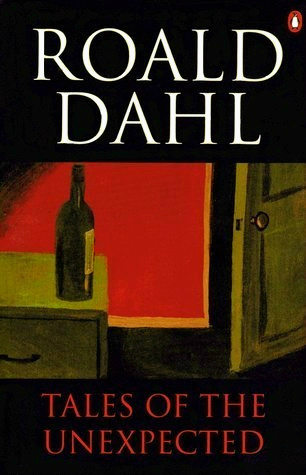 Each story simply tingles with chilling surprises and each is perfectly constructed, sophisticated black humour at its very best. 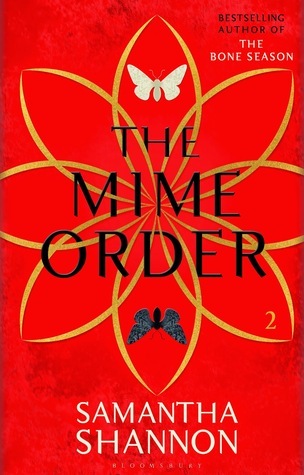 Goodreads blurb: Paige Mahoney has escaped the brutal penal colony of Sheol I, but her problems have only just begun: many of the fugitives are still missing and she is the most wanted person in London. 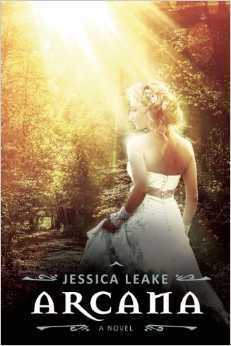 Goodreads blurb: Amid the sumptuous backdrop of the London season in 1905, headstrong Katherine Sinclair must join the ranks of debutantes vying for suitors. Unfortunately for Katherine, she cannot imagine anything more loathsome—or dangerous. To help ease her entrance into society, Katherine’s family has elicited the assistance of the Earl of Thornewood, a friend and London’s most eligible bachelor, to be her constant companion at the endless fetes and balls. But upon her arrival in London, Katherine realizes there will be more to this season than just white gowns and husband hunting. Goodreads blurb: On a windy spring day in the Chilterns, the calm, organized life of science writer Joe Rose is shattered when he witnesses a tragic accident: a hot-air balloon with a boy trapped in its basket is being tossed by the wind, and in the attempt to save the child, a man is killed. A stranger named Jed Parry joins Rose in helping to bring the balloon to safety. But unknown to Rose, something passes between Parry and himself on that day–something that gives birth to an obsession in Parry so powerful that it will test the limits of Rose’s beloved rationalism, threaten the love of his wife, Clarissa, and drive him to the brink of murder and madness. 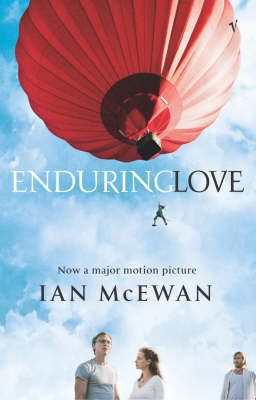 Brilliant and compassionate, this is a novel of love, faith, and suspense, and of how life can change in an instant. You must read Arcana! It is amazing!!! I couldn’t sit it down 🙂 It’s definitely one of my favorite reads this year! 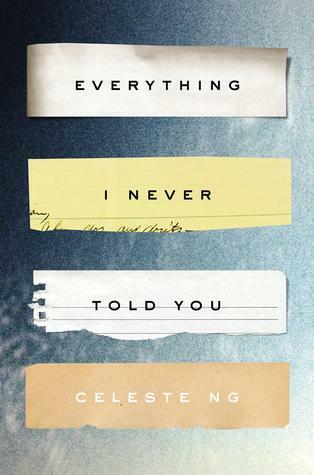 You’ve just reminded me of Everything I Never Told You. I meant to check out that book a while ago! It looks like you’ve got a good variety of books to get stuck into this Winter! Enjoy! You’re the second person to have DAUGHTRES OF THE STOMR on the list today, and I’d never heard of it befroe. I need to look it up. Beautiful cover! Thanks for the summary!! I think I need this in my life! Oh, STATION ELEVEN!!! I’m planning to read this one this week!!!! Enjoy 🙂 I need to catch up on Samantha Shannon, too. Enjoy evreything! 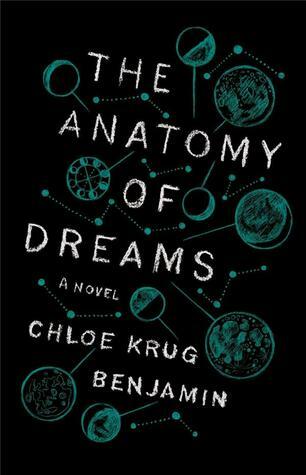 WOW, The Anatomy of Dreams sounds fantastic! I absolutely have to find that one. Thanks for the great post! I just started Station Eleven and it’s on my Winter TBR list too. Good luck with your winter reading!